Justin wanted to create approachable, classic beers so that anyone could find a beer they would like at his brewery. 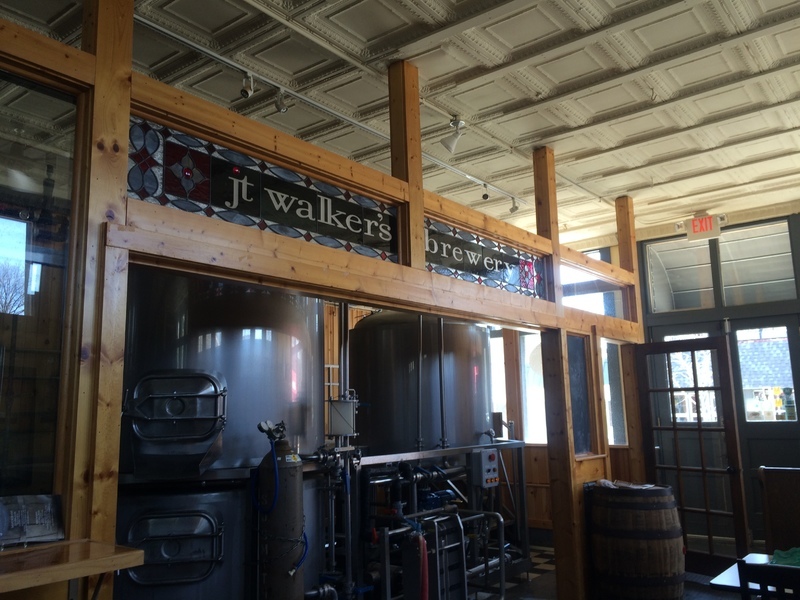 About 15 minutes northwest from Champaign-Urbana in Mahomet is JT Walker's Brewery. The Village of Mahomet had been a dry city since World War II, but the Village Board passed the liquor license ordinance in 2007 to allow the sale of alcohol inside village limits. Owner and founder Justin first opened the restaurant and sports bar in 2008 after the city passed the ordinance to allow the sale of alcohol. Justin is a fourth generation Mahomet resident and wanted his community to have a place to come together. Aaron Young, a former bartender at JT Walker's Restaurant and Sports Bar experimented with homebrewing and approached Justin in 2011 about brewing their own beers. Justin said that after Goose Island Beer Company was sold to Anheuser-Busch, Illinois made adjustments to craft brewing laws that made it easier for small breweries to compete in the market. 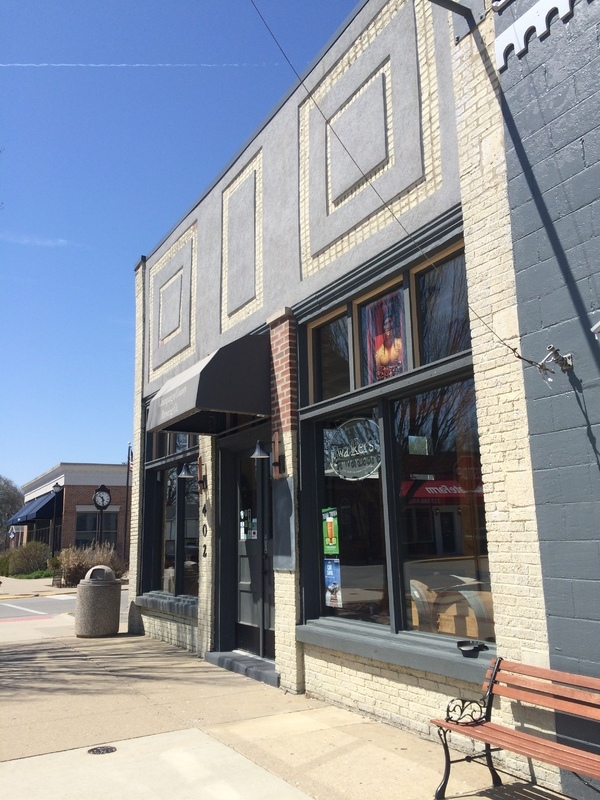 With approval from the Village of Mahomet and after filing all the necessary paperwork, JT Walker's Brewery opened in late 2013 across the street from JT Walker's Restaurant and Sports Bar. 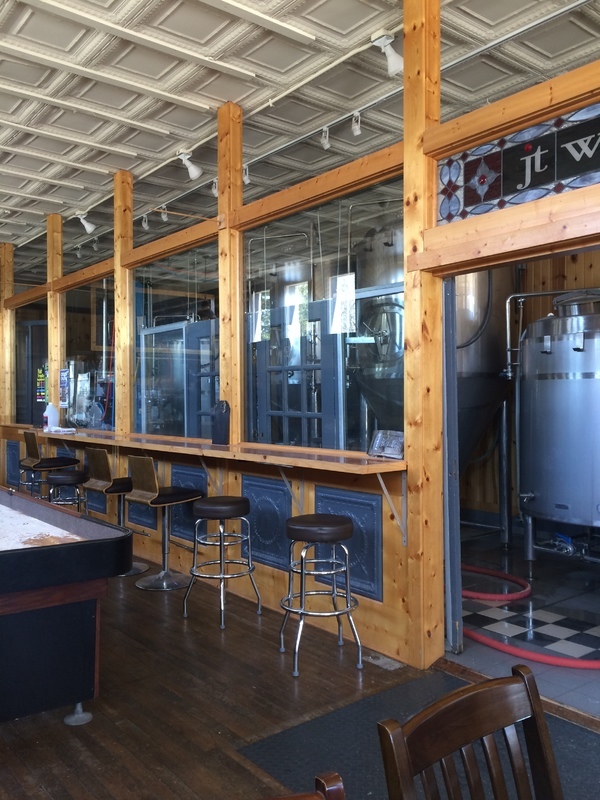 The brewery has a tasting room with games, darts and shuffleboard, and a direct view into the brewing room. Justin wanted to create approachable, classic beers so that anyone could find a beer they would like at his brewery. He expressed that all the names of the beers are inspired by personal and local places, events and people. Popular beers include an American IPA and American wheat ale with a hint of orange and blueberry. Several beers are named after Justin’s family members: Taylors Field Session IPA is named for the local baseball and softball field his grandfather built in the community; and Walkie J Imperial Peanut Butter Sweet Stout after Justin's son Walker. Justin is overwhelmed by the level of support the community and other local breweries has shown to JT Walkers. It was especially evident at the 2nd Annual Mahomet Craft Beer Festival which saw over 1,300 people attend and featured dozens of breweries including Riggs, The Blind Pig, Triptych and more. JT Walkers Stain Glass : Inside brewery towards front door with stain glass and logo. ~ Creator: Chrissy O'Grady ~ Date: Monday, April 30 at 1:30 pm. Outside JT Walkers Brewery on E Main Street. : View of the JT Walkers Brewery on East Main Street in Mahomet, IL. ~ Creator: Chrissy O'Grady ~ Date: Monday, April 30 at 1:30 pm. Inside JT Walkers Brewery. : Bar stools and visible brewing equipment from brewery front entrance. ~ Creator: Chrissy O'Grady ~ Date: Monday, April 30 at 1:30 pm. Interior of JT Walkers Brewery. : Interior of JT Walkers Brewery looking towards East Main Street. ~ Creator: Chrissy O'Grady ~ Date: Monday, April 30 at 1:30 pm. JT Walkers front booth. 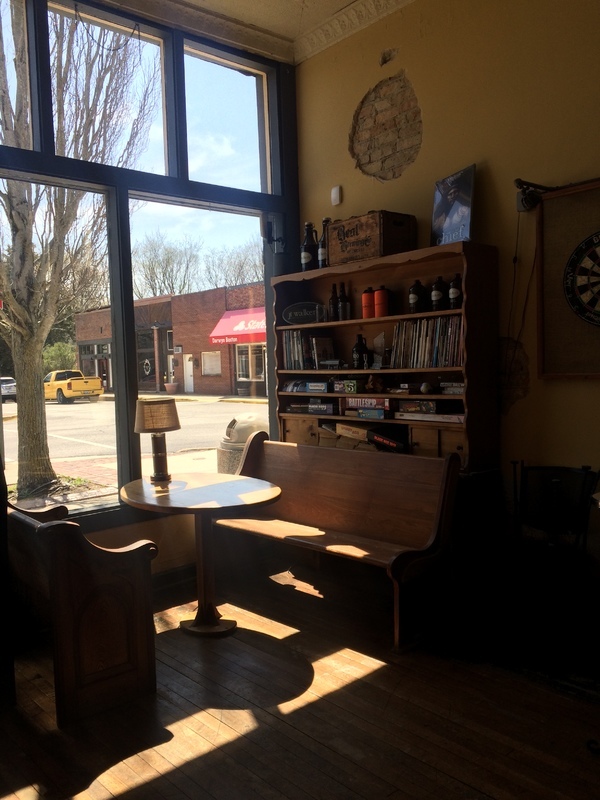 : JT Walkers Brewery sitting area with board games looking out onto East Main Street. ~ Creator: Chrissy O'Grady ~ Date: Monday, April 30 at 1:30 pm. 402 E Main St, Mahomet, IL 61853 ~ From CU, take I-74 W, take exit 172 for IL-47 toward Gibson City/Mahomet, turn left onto IL-47 S/N Lombard St Drive and turn right onto E Main St.
Chrissy O'Grady, “J.T. 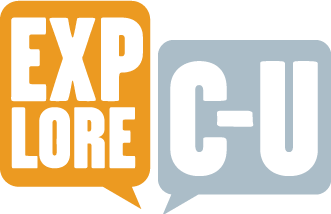 Walker's Brewery,” ExploreCU, accessed April 20, 2019, https://explorecu.org/items/show/419. “About - JT Walkers Brewery.” JT Walker’s Brewery. Accessed November 4, 2018. https://www.jtwalkersbrewery.com/about/. J.T. Walker’s Brewery. Interview by Chrissy O’Grady, 2018. Logan, Sam. 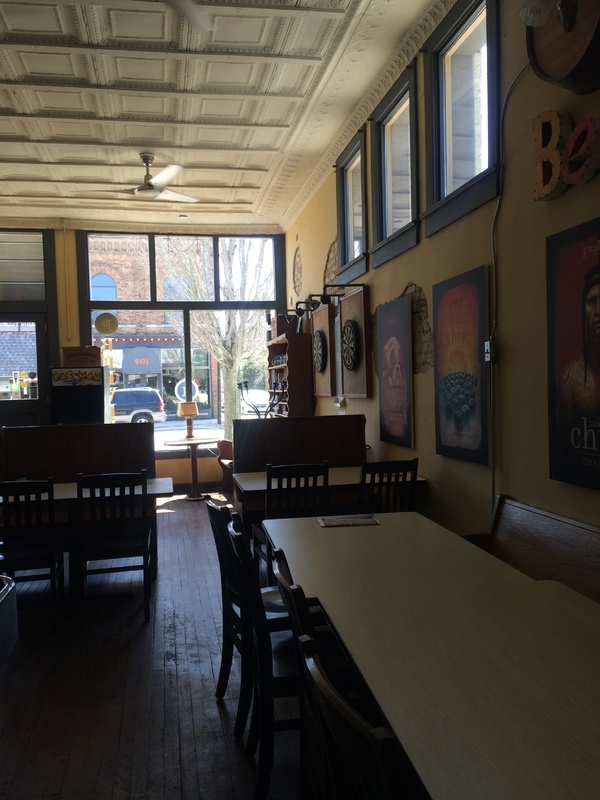 “JT Walker’s Brewery Turns Two.” Smile Politely. Accessed November 26, 2018. http://www.smilepolitely.com/food/jt_walkers_brewery_turns_two/. Noel, Josh. “How Goose Island Sale to Anheuser-Busch Changed Craft Beer Is Detailed in New Book.” Chicago Tribune. Accessed November 4, 2018. https://www.chicagotribune.com/dining/ct-food-josh-noel-beer-book-excerpt-goose-island-0530-story.html. Notte, Jason. “The Deal That Shook Craft Beer Five Years Ago Is Still Reverberating.” MarketWatch. Accessed November 4, 2018. https://www.marketwatch.com/story/the-deal-that-shook-craft-beer-five-years-ago-is-still-reverberating-2016-04-21.